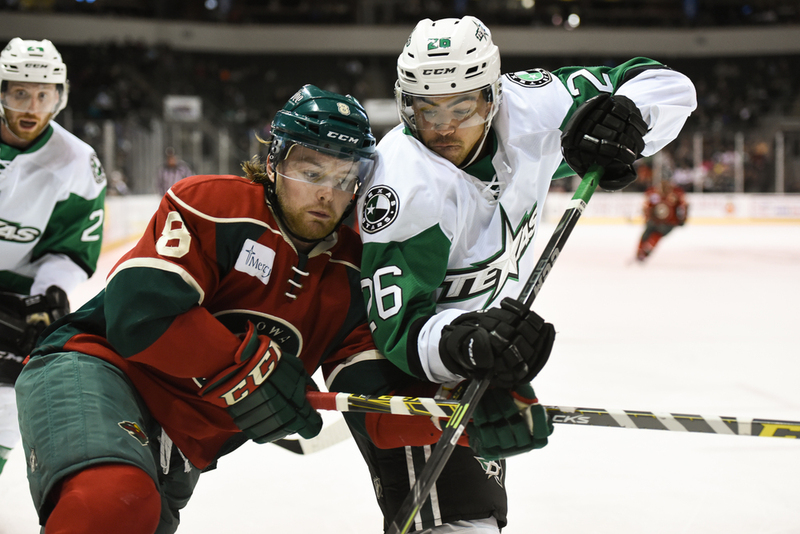 The Texas Stars had back to back games on Friday and Saturday nights this weekend. Friday was the second game in a week against the Iowa Wild. After a win by a healthy margin against the Wild last Wednesday, hopes were high for a repeat. It was a hard fought battle on the ice with the teams exchanging goals until ending 3-3 in regulation. The Wild would score the final winning goal in the overtime period. The first shot above is Brandan Troock celebrating as the puck makes its way into the Wild net. The second shot is Matt Mangene battling it out for the puck deep in the Stars' end. It was one of those shots where I got my lens out of the hole in the glass just in time! The third shot is a valiant scoring attempt by Curtis McKenzie in the overtime period. Coming in at speed with a defenseman tailing him, McKenzie lost his edge and slid to the ice. 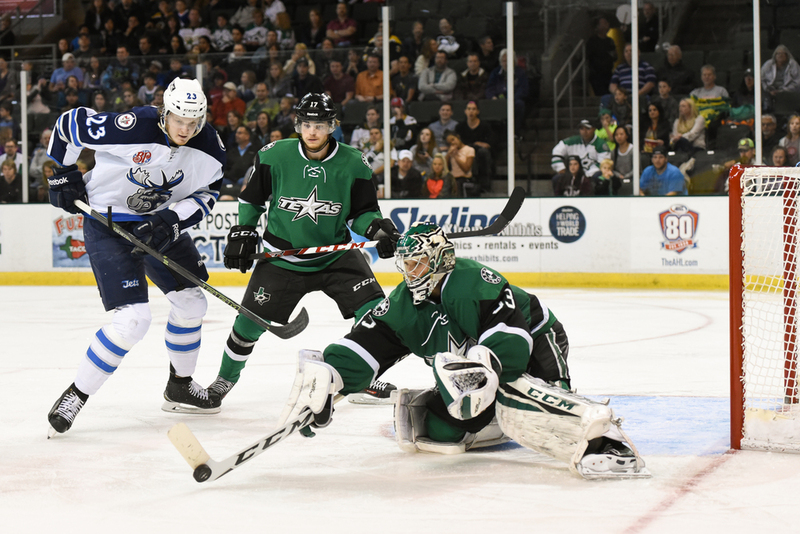 Saturday's game was against the Manitoba Moose and that night went heavily in the Stars' favor as they trounced the Moose with a 6-1 win. The Stars' absolutely dominated the game and racked up twice the shots on goal as they did the previous night. The first shot above is Curtis McKenzie being "escorted" into the Moose defensive zone. The second shot is a goal by Cole Ully. I didn't catch the puck in flight off of the quick snap in my burst of frames but the look on the goalie's face makes it obvious where the puck ended up. The third shot is Stars goalie Maxime Lagace swatting away a shot on goal with his stick.